China's mammoth manufacturing power needs no introduction. China's innovative sector, however, is perhaps something you have never heard of - for legitimate reasons. Innovation has really not been China's forte, and why should it, after all? Sans world-renowned tech visionaries and science gurus China has already made its way into anything between 80 and 100% of your everyday life - be it through the TV you watch all the way down to the vitamins you take. 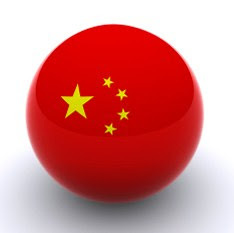 In the Pharma world, China has naturally made a mark as the manufacturing hub for many global drug producers, and generally feeds its own domestic market with the help of massive local generic players (the likes of Harbin Pharma and SinoPharm) which can easily stomp out any or all of the global pharma conglomerates by comparison. But one needn't be a leading economist to foresee obvious limitations to a manufacturing and, to some extent, imitation-driven economy. Intrinsically dependent on developments beyond its own borders, such an economy is characteristic of a follower, rather than a leader. Whichever way you look at it - China's seemingly exponential growth is only as exponential as is the growth of the economies which produce the novel technologies on which it relies. And China knows it. Over the next weeks we will be blogging about China's shifting pharma landscape, everything from the novel government initiatives to what is currently slowly brewing in this domestic industry's primordial bio-broth. Follow us for weekly updates on one of Pharma industry's most monumental changes! 5-year plans are China's social and economic development initiatives and goals for the subsequent 5 years, drafted by the Central Committee and national congresses on behalf of the Communist Party of China (CPC). In 2011 the CPC released the 12th set of 5-year plans (2011-2015). This latest set of guidelines has been referred to as the most innovation-focused government initiative China has ever faced, and one which explicitly emphasizes innovation in the bio-industry. In 2006, the National Congress used the word “innovation” for the first time, realizing the country’s massive potential for innovative growth, and in 2011, China’s utmost objective through to 2020 has become to make a transition from a manufacturing-based economy to one guided by innovation-driven growth. The government’s spending on R&D has already been on a steady increase from just 0.6% of GDP in the 90’s to 1.6% in 2011, with plans to reach 2.5% by 2020. One of the major goals of the latest plans is universal and more accessible healthcare coverage, which will give a necessary market boost to the pharma industry. Domestic developers of pharmaceuticals are encouraged to consolidate, as the industry remains highly fragmented and dominated by a multitude of small-scale players. Foreign investment is being directed towards cutting-edge developments in the country, and domestic players can now take advantage of a 159% increase in the R&D budget (now amounting to US$ 6.7 billion for biotech alone, from a total of US$ 48 billion), allocated by the government in order to acquire novel IP or establish in-house R&D. Sales of patented drugs have already been steadily on the rise, in line with total biopharmaceutical sales (figure 1), but as a result of the latest 5-year plan initiatives, domestic Rx pharma sales are expected to exhibit marked growth over the next decade, and to potentially hit sales of US$ 60 billion by 2020. Perhaps more so than in other industries, the pharmaceutical industry has historically benefited from dedicated government support. The most scientifically innovative countries, the likes of which are Switzerland, Germany, Israel and the US, benefit from higher-than-usual R&D-per-capita budgets, and the Chinese government has not remained oblivious of this fact. The latest set of 5-year plans will inevitably induce visible changes in the innovative pharma industry, and the new decade is likely to see a substantial increase in the volume of foreign investment in China’s developing bio sectors. Check back next week for Part 2 of "Made in China" to "Designed in China": China's domestic Pharma market situation & stats, plus a briefing on its current industry players who are already innovating! 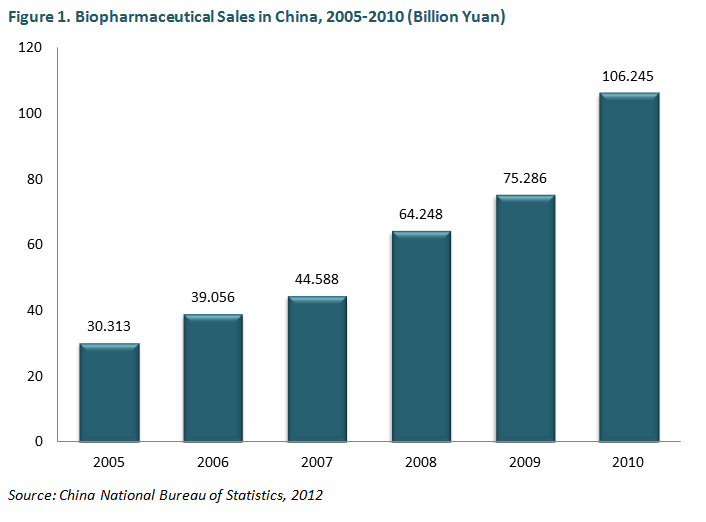 Pharmerging Markets: China – the Next Innovative Pharma Market?